On Friday a mid-level area of low pressure will emerge from the Rockies and drift northeast towards the Great Lakes. A narrow band of heavy snow will fall on the NW side of the track. 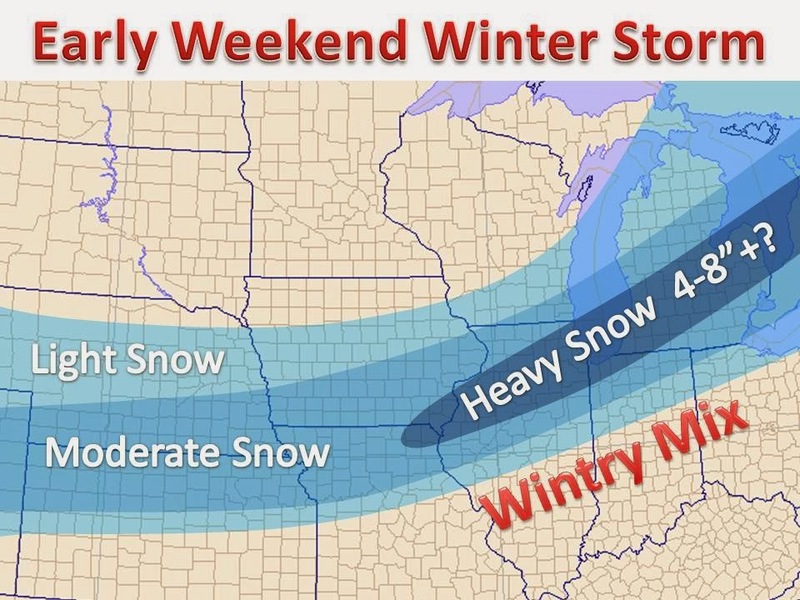 This put the heaviest snow around the Chicago area. Winter storm watches are already in effect and will likely become winter storm warning by tomorrow. On the southern side (warmer side) a wintry mix will develop. Even further south heavy rain will fall, see map below for the 72 hour total precipitation. Expect and update and full snow map tonight or tomorrow.